The Ultimate Camping Food Day! Last Friday we left the city behind and headed for the green rolling hills of Vermont for an impromptu camping trip. A recent overhaul of our outdoor gear meant that everything I needed was relatively easy to find. Over the years, Danny and I have developed a system: I pack the kitchen gear/food while he takes care of the essential camping/sleeping gear. So if we’re missing a corkscrew, it’s on me; if the axe is nowhere to be found, that’s all him. By now the kids pack their own items – everything from warm socks to Frisbees, bathing suits and pocket knives. Together we get the van loaded and the canoe tied to the roof. Thankfully, leaving for a camping trip has become much more streamlined. Over the weekend I received a lot of questions about our camping experience, so I thought I’d revisit the topic here on the blog. I’ve written extensively about camping over the years, as we’ve gone every summer with our kids since they were babies. I’ll do a full round up at the bottom of the post, but before that, let’s have some fun and imagine what the Ultimate Camping Food Day would look like. If you could have anything you wanted to eat, served up to you around a campfire: What would the ultimate camping food day look like? It has to be within reason, of course. I won’t pretend we can conjure up your late granny’s tin of Christmas cookies or a slice from the famous Di Fara Pizza in Brooklyn. But imagine you could create an epic food day, a feast by the fire…breakfast, lunch and dinner al fresco – what would you pick? 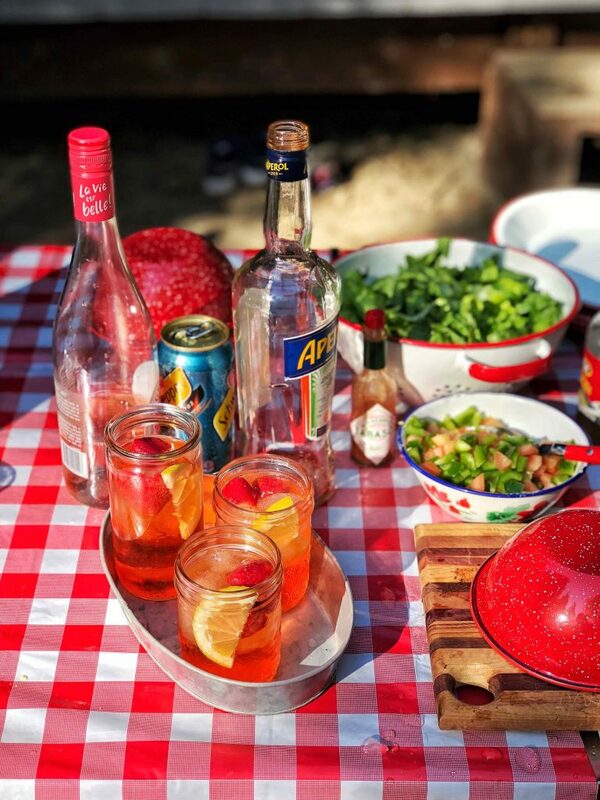 Read on for my Ultimate Camping Food Day picks and then let me know yours in the comments. 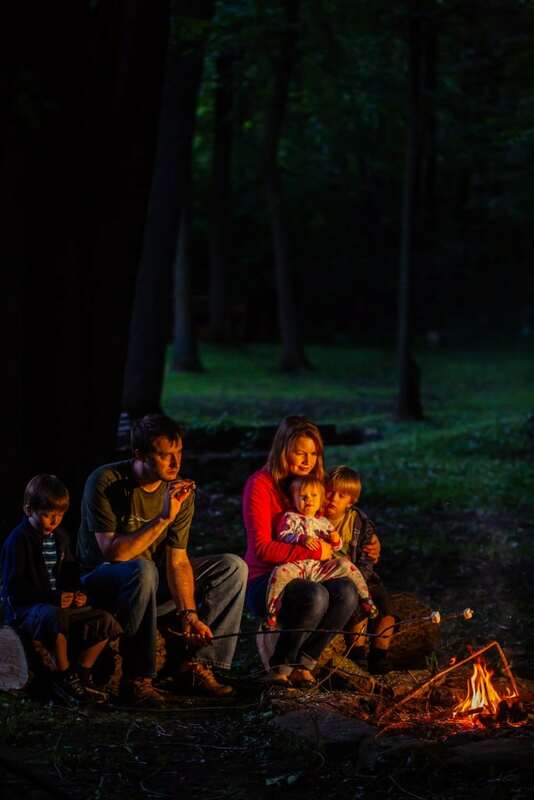 They say food tastes better when you are camping – and it truly does. Perhaps it’s the delicious smoky infusion from the open fire cooking or the anticipation that builds as our foods sizzle on the coals. At any rate, this campfire breakfast is the best of the best. Making coffee out of doors has to be one of my favourite things to do in summer. I brew it strong and drink it black. That intoxicating smell of camp coffee is one of life’s simple pleasures. 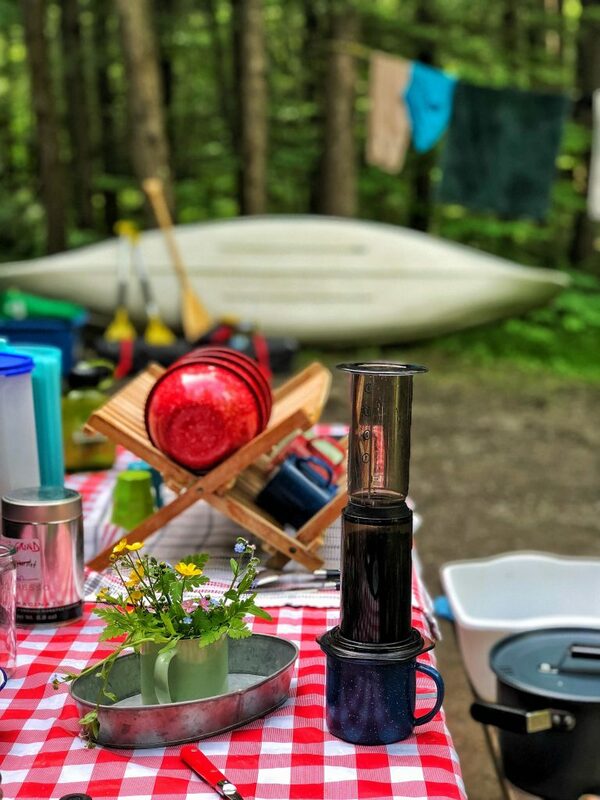 We love the AeroPress for a single serving of coffee, but for a two or more cups, I love the ease of the Coleman 9 Cup Percolator – and find that the rustic look of the double-coated enamel finish fits right into every campsite. If I have a plate of warm bannock and jam to accompany my morning joe, all the better. 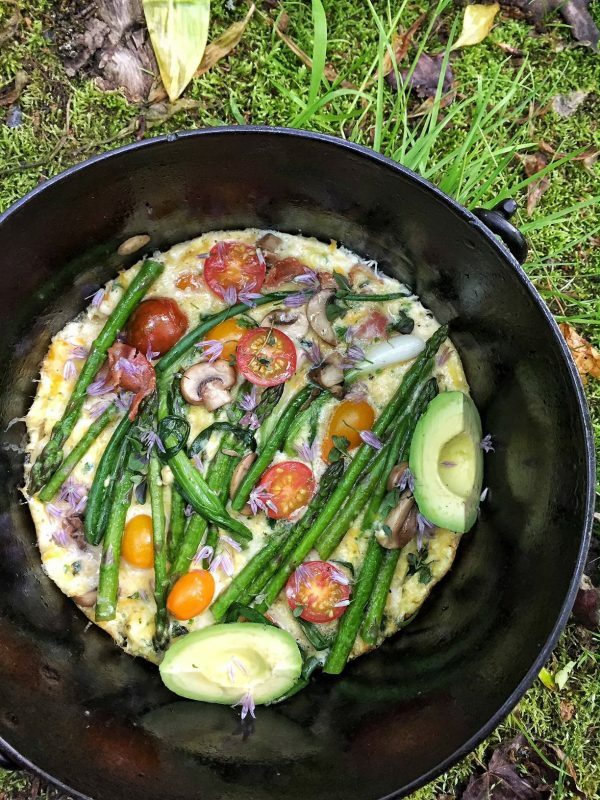 Camping breakfast must include carbs and butter – to keep us fuelled for the day of course! I seldom feel more Canadian than I do when I am frying bannock over an open fire. Good times. 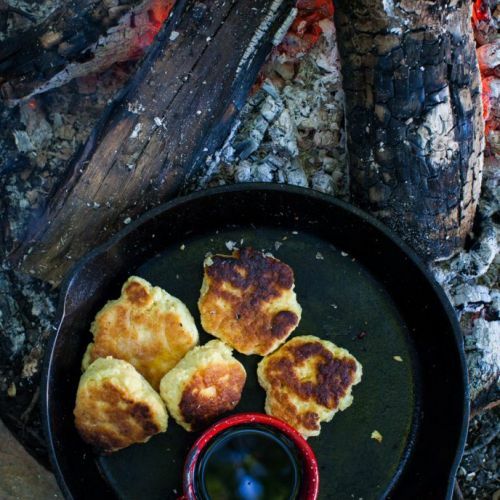 I’m including my bannock recipe, adapted from the amazing FEAST cookbook. This just-add-milk mix (or water, in a pinch), is perfect for making ahead and bringing along to the campsite in a ziplock bag. I go ahead and mix up the dough right in the bag – why dirty a bowl? Dump the flour, sugar, baking powder and salt together in a sturdy resealable bag. Seal well and shake the mix together thoroughly. Add almost a cup of milk to the bag of dry mix (water also works). Seal the bag and squish it around gently just to combine. Do not overmix. Preheat a cast iron skillet over a campfire. Add a little butter or oil or both to the pan and wait until it begins to bubble a bit. Using clean hands, floured if possible, scoop a golf-ball size of dough from the bag and flatten it slightly. Drop it into the pan and repeat with the bannock dough until the pan is full, but not overcrowded. 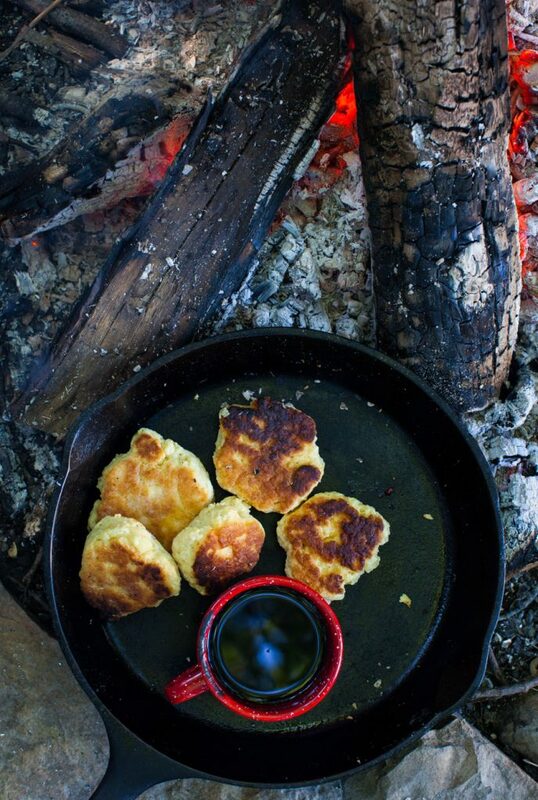 Cook bannock over medium-low heat until dark golden on one side, then flip and finish browning. Don’t cook it over too high of heat or it will darken before the interior is cooked through. Serve warm, with butter and jam, and coffee, of course. Mix may be made up to two weeks in advance or stored in the freezer for up to three months. This dish is buzz-worthy for many reasons. It’s a one-pot, no-chop campfire power breakfast that is veggie-laden and contains bacon. Whether you are fueling up for a hike, wrangling small children or just tossing a Frisbee on the beach, this hearty breakfast will keep you fed up well through the morning. 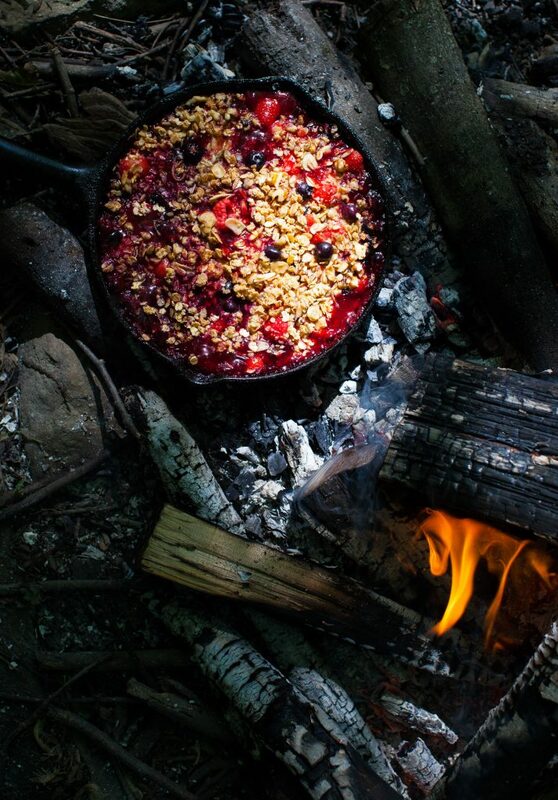 This Triple Berry Crisp I developed for Coleman Canada is a great way to enjoy summer berries when you are camping. I use granola for the crunchy topping which yields a similar result to an oven-baked fruit crisp. It can be enjoyed for breakfast or dessert, depending on if you top it with yogurt or whipped cream. 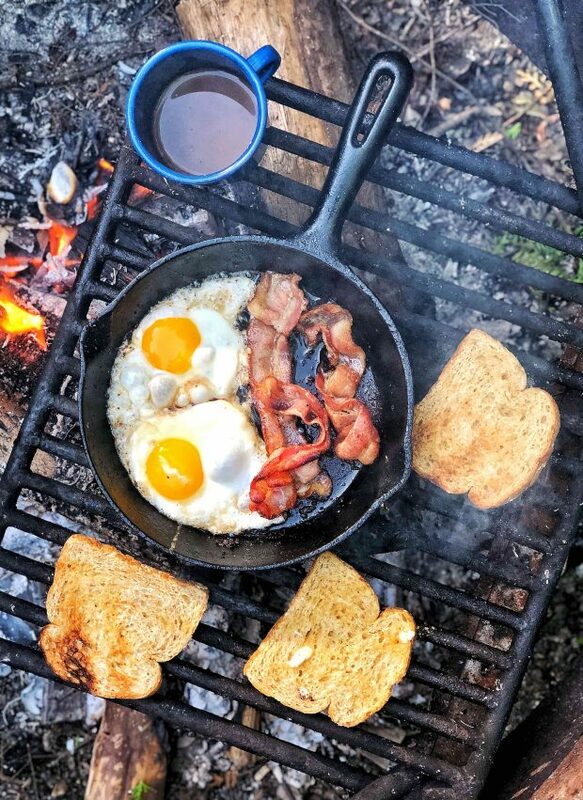 Today I’m serving it for breakfast because this is the ultimate camping food day, after all. There’s something about getting out in the Great Outdoors that leaves me completely famished. 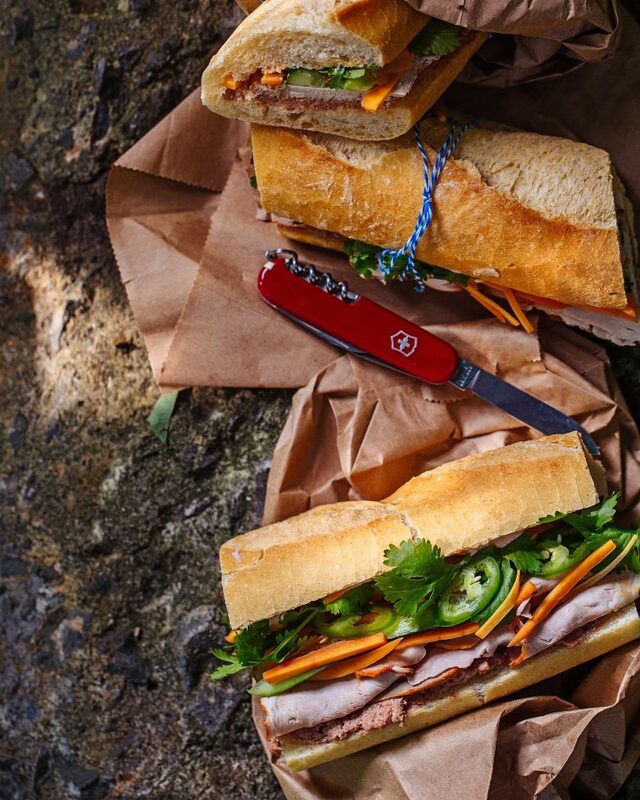 I’ve learned to satiate hiking-induced hunger by packing one of the most satisfying sandwiches around – the Banh Mi. Together with a thermos of lemonade, a Tupperware of pasta salad and a bag of brownies for dessert, my family and I are all set to feast while taking in the mountain views. 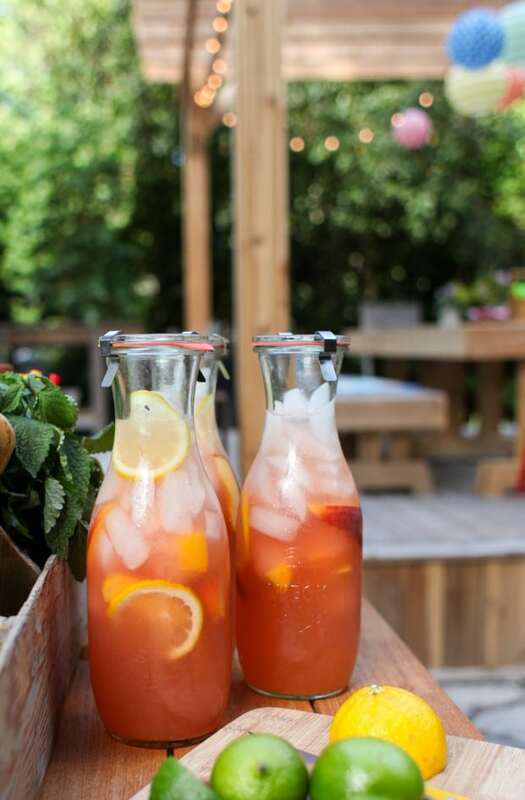 In this fruity version of a classic lemonade, a honey simple syrup is infused with sweet Ontario peaches, and then married with tart lemon zest and juice. Light and bright, thirst-quenching and completely delicious, this vibrant drink is the perfect summer sip. This sandwich has crunch and crust, sauce and spice, and packs in enough protein to get you back down the mountain. 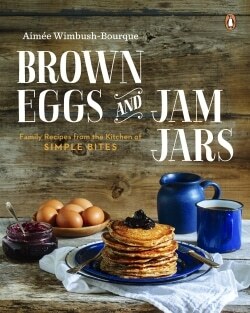 Find the recipe in my cookbook, Brown Eggs and Jam Jars. 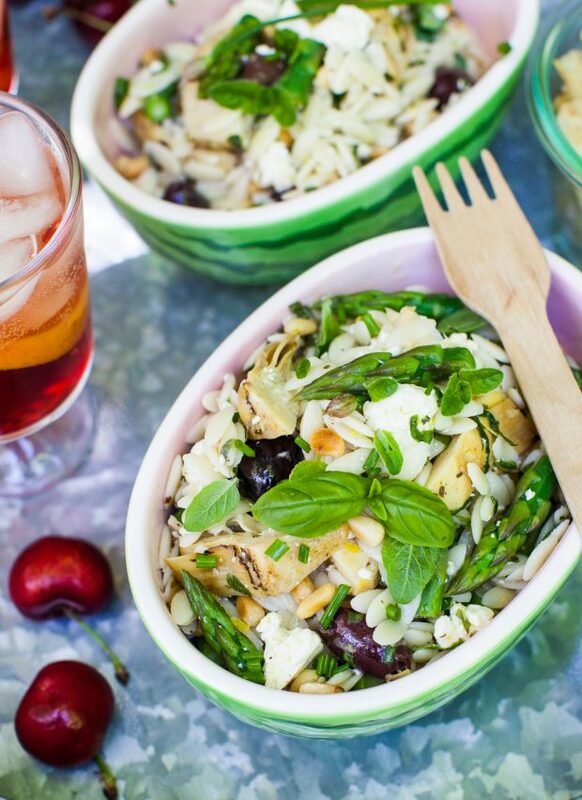 This vibrant salad is delicious as a main dish as well as a side accompaniment. 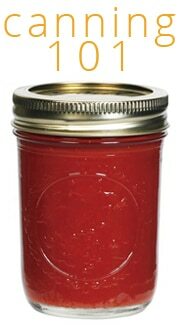 It travels well, which is ideal for those beach outings or day hikes, and can be made in advance on busy weekends. 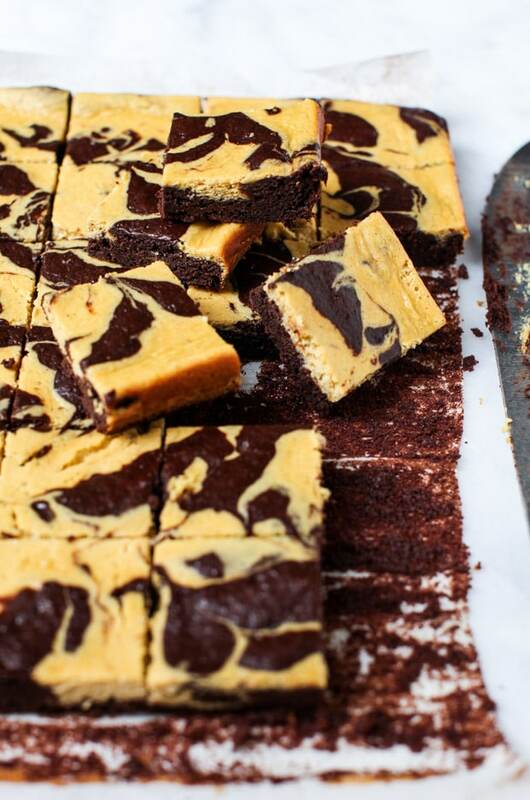 Soft and dense, moist and rich, these marbled, maple-sweetened pumpkin cheesecake brownies are such a treat. While they are my Ultimate Camping Food Day pick for lunch dessert, I’m not sure how they would hold up in a backpack! So I’m selecting my Vegan Pumpkin Seed Cocoa Brownies as a back-up. Also delicious, and much more durable. No matter how much we have eaten during the day, everyone shows up to the campsite for dinner utterly starving. Perhaps it is the fresh air that stimulates the appetite or all the energy we have spent canoeing and hiking. This dinner is 100% guaranteed to satisfy the most hangry of them all. An ice cold drink enjoyed on a sweltering campsite is the ultimate luxury when roughing it. Last weekend I mixed up Aperol Spritz with a bottle of rosé I had managed to keep chilled. The guys soon switched to beer, but we ladies were spritzing well past dinner hour. You have to include comfort food when camping, because you are forgoing so many other comforts from home, like mattresses and running water. This macaroni and cheese delivers in a big way. Loads of cheddar cheese, a generous pour of evaporated milk and a good dash of mustard all contribute to a cheesy pasta that is every bit as crave-worthy as your favourite packaged version. There’s nothing better than a classic burger cooked over an open wood fire. 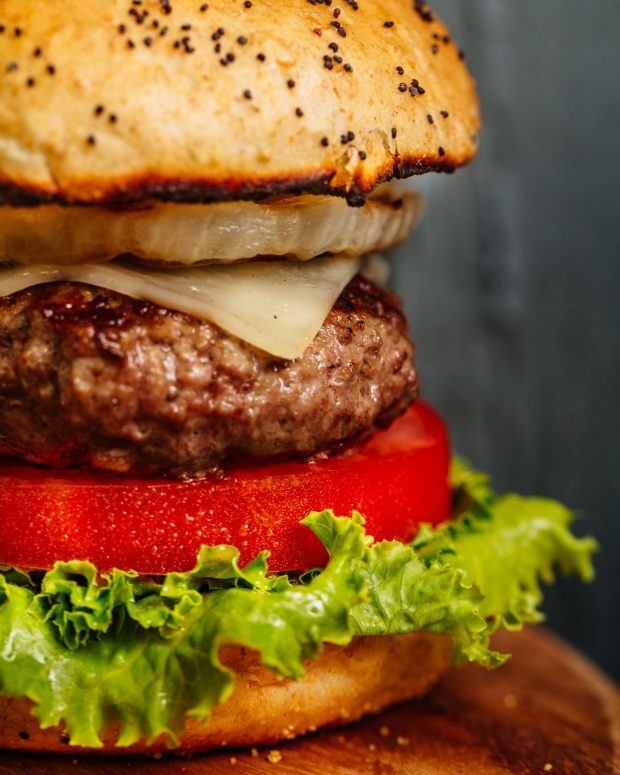 And when you’ve pack homemade buns, a jar of Zucchini-Pepper Sweet Relish and the rest of the necessary toppings…get ready, because your Ultimate Camping Food Day is about to be complete. Find the recipe for my Cheeseburgers with Smoky Onions in my cookbook, Brown Eggs and Jam Jars. 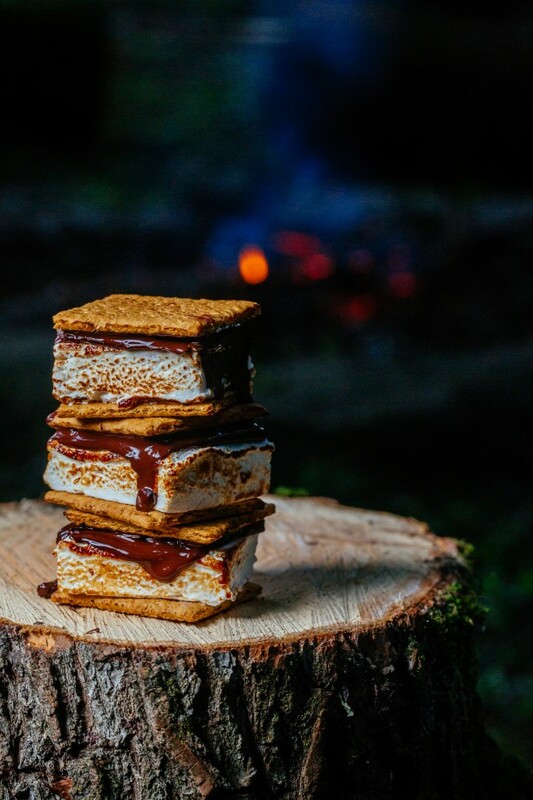 The ultimate camping dessert has got to be S’mores, a simple treat that has inspired hundreds of spinoffs and variations. My cookbook has my go-to homemade marshmallow recipe, a fluffy maple variation that is made from scratch many times over the summer. Paired with graham crackers and dark chocolate, it’s the perfect sweet finish to the day. Find the recipe for Maple Marshmallows in my cookbook, Brown Eggs and Jam Jars. 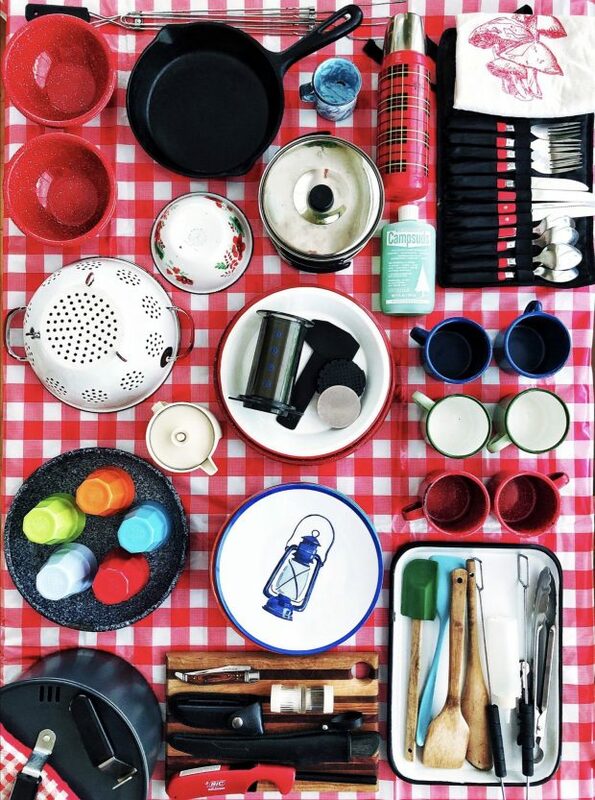 Tell me, what is on the menu for your Ultimate Camping Food Day? Quesadillas, scrambled eggs in wraps, great cheeses with crackers, homemade granola bars & power bites, chicken or burgs on the hibachi cooked by our 10 year old… and our 16 year old makes some mean cast iron skillet nachos over the coals! We also swear by “s’mores roulette” where you select random cookies and different chocolates. (I like Droste dark orange chocolate myself.) 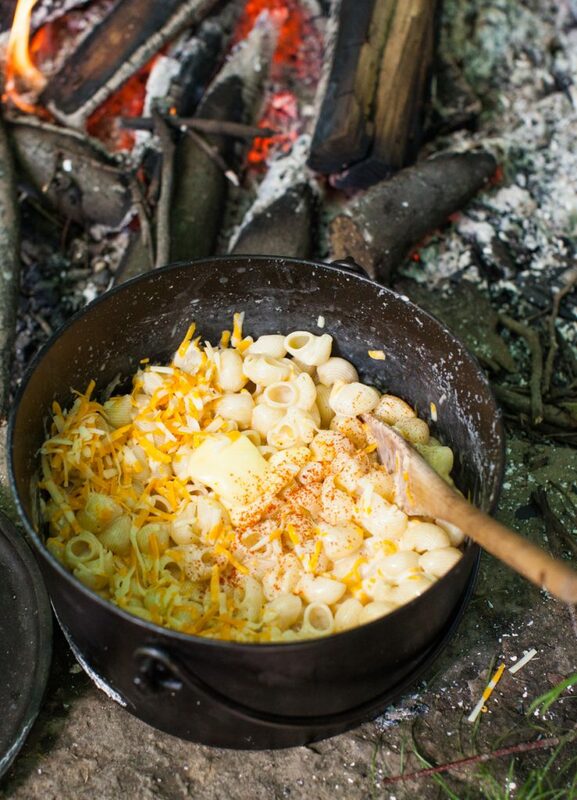 You’re right: everything tastes great when you’re camping! I need to hear more about those skillet nachos! Genius!!! Big ol’ skillet and nice coals: layer in tortilla chips followed by shredded cheeses and fresh diced tomatoes, red peppers, and jalapeños. Cover with foil and bake on a rack about 6″ above single layer of coals (distance depends on how fast your coals are, really) and bake until done. 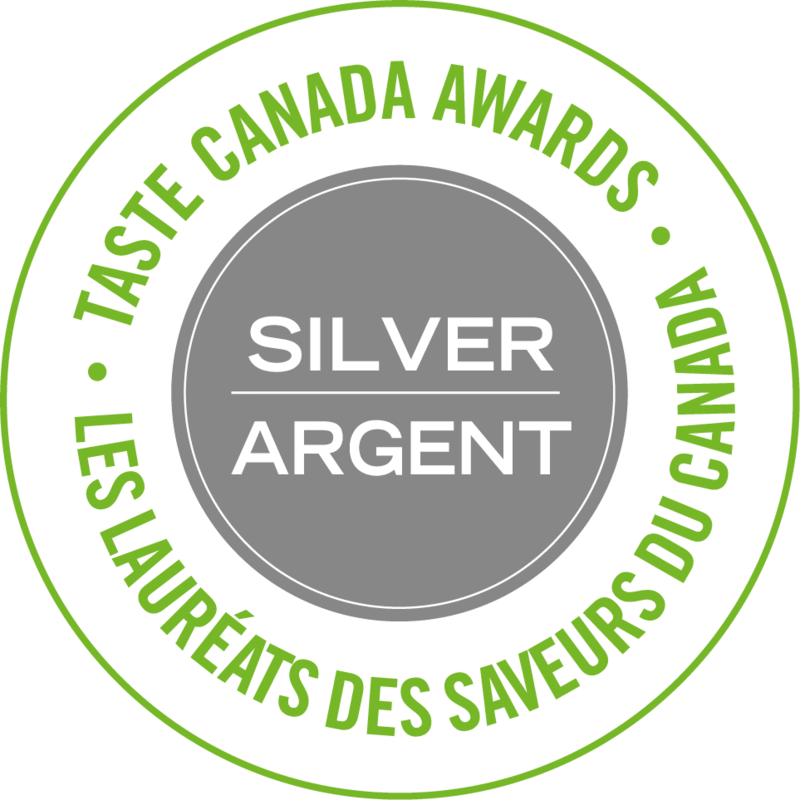 Serve with salsa and other favourite dippy things. Totally drooling. I love the burnt/toasty parts of nachos and I bet this yields a ton! I love reading posts about different ways to cook and it’s providence then that I just ordered Brown Eggs and Jam Jars to read on our vacation in Nova Scotia this summer. And welcome to Vermont, my neck of the woods! Thanks for the warm welcome, Christina. We love visiting Vermont. Thanks for ordering my book and enjoy Nova Scotia!!! I LOVE reading your camping articles. Coffee is a must! I drink (brace yourself) Starbucks instant Colombian coffee on camping trips, which are few and far between. I also have a single serve travel press for ground coffee. Instant oatmeal for breakfast. The evening meal must include beef rib-eye steaks cooked over Arizona Juniper with a side of asparagus cooked in a cast iron skillet. Is FEAST cookbook camping and roadside recipes? I would love that. 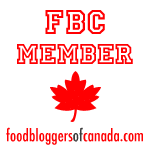 FEAST: An Edible Road Trip is a cookbook and love letter to Canadian cuisine. One of my favourites. 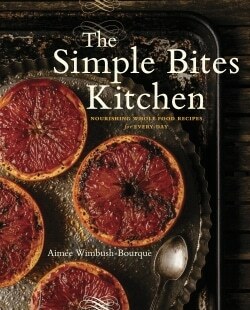 Many recipes translate well for camping, but it is not specifically a camping book. Mmm thanks for all the great camp food ideas! They are coming in handy right about now. Crisp looks amazing. And I’m crushing on all your cooking equipment. 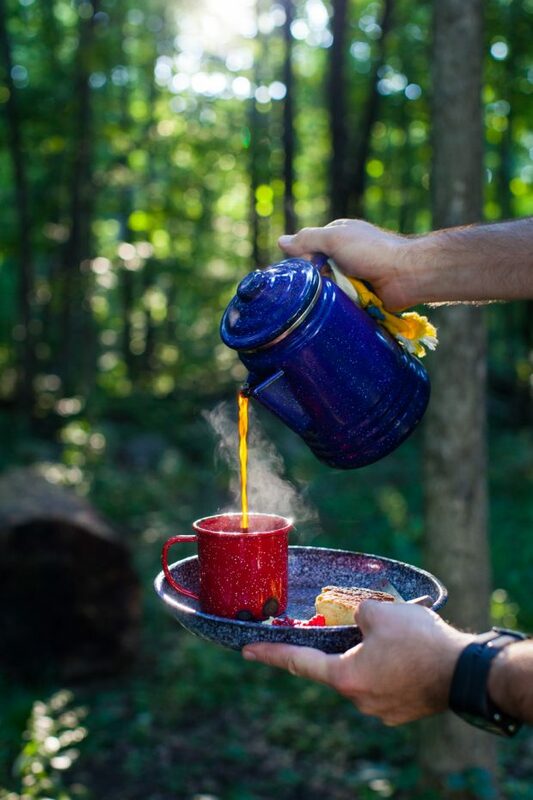 We use the Melitta drip for our camp cup but the percolator looks great, and convenient. Quick breakfast fave “Moonstruck Eggs” – cut a circle in bread, put in a skillet with lots of butter and crack an egg in the hole. Much easier cleanup than scrambled eggs. Oh and I’m definitely trying those nachos! 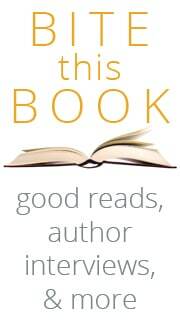 Thanks for reading, Haidi! You could use those amazing Cortes blackberries for the crisp…or are those later in July? The percolator is a pain to clean, but as long as you are not hauling water, it’s ok. Thanks for sharing. That was a wonderful foods for a camp..Looks so simple and crisp.. 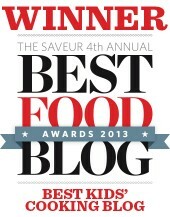 Thank you so much for sharing your amazing recipes with all of us. I tried the Bannock recipe, and absolutely love it. I decided to try using the Bannock as a hamburger bun tonight and it turned out fabulous! As always I love your recipes. I hope you and your family have a wonderful summer! By now the kids pack their own items – everything from warm socks to Frisbees, bathing suits and pocket knives. Over the weekend I received a lot of questions about our camping experience, so I thought I’d revisit the topic here on the blog.